On this page is a smattering of the many charitable projects and causes in which various pest management professionals (PMPs) were involved in 2018. And these were chosen from just the ones we know about; many more wonderful acts of kindness take place anonymously or in a low-key way, every day, in this industry. We hope you find these examples as inspiring as we do, and we invite you to share what you and your companies are doing in 2019 to help the less fortunate or bring attention to a worthy cause. Drop us a line at pmpeditor@northcoastmedia.net. 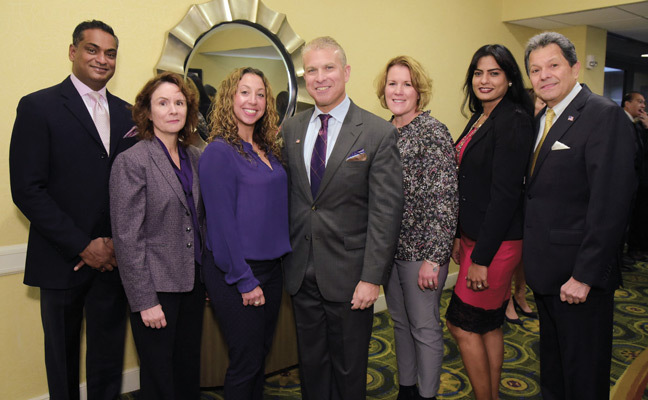 Hank Hirsch, president of Westwood, N.J.-based RK Environmental Services, was honored on Oct. 26, by the Institutes of Applied Human Dynamics, an organization that helps children with special needs. Hirsch, center, is surrounded by his RK team members. Massey Services has sponsored Autism Speaks in its headquarters city of Orlando, Fla., since 2007. In 2018, the company expanded its sponsorship to additional markets, including Atlanta, Ga; Charlotte, N.C.; and Dallas and Austin, Texas. Pictured is a throwback photo (circa 2008) from one of the team’s earliest walks for the organization. 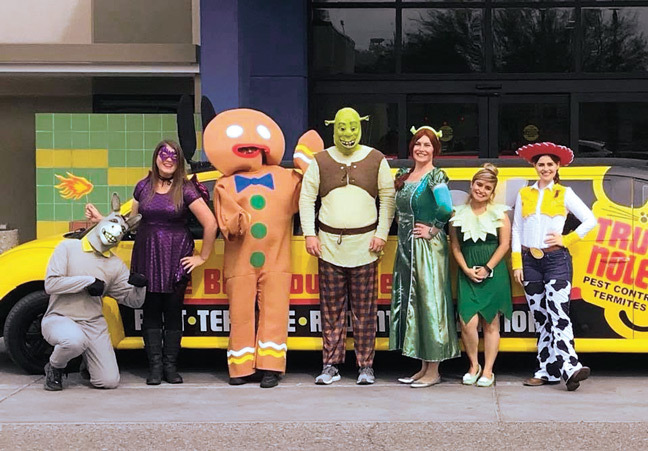 For Truly Spooktacular 2018 in late October, Truly Nolen Pest Control team members visited 16 hospitals and children centers in five states and passed out pumpkins and spread some cheer. 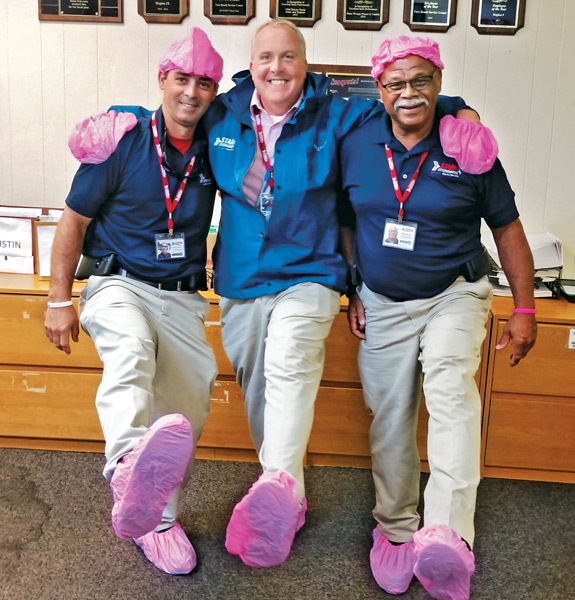 Atlanta, Ga.-based Arrow Exterminators made a $5,000 donation for the fourth consecutive year to the National Breast Cancer Foundation through its #ArrowCares campaign. From left are Justin Anderson, Jimmy Rizek and Roger Hawkins — all from Arrow’s Vero Beach, Fla., service center. Rollins Inc. received a Child Well-Being Impact Fund Champion award in May, from United Way of Greater Atlanta for its 2017 workplace campaign donations. The Atlanta, Ga.-based firm has been supporting the organization since 1985, and in 2017 donated more than $1 million. 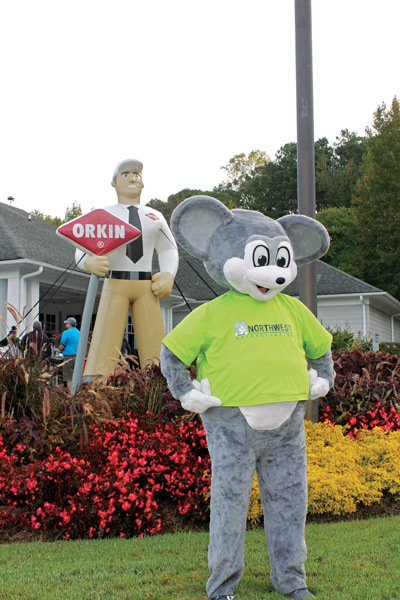 Here, The Orkin Man and Northwest Mouse greet golfers at Rollins’ annual United Way Golf Tournament in Atlanta.